It’s an honor to share a guest post today from a great guy; Brett Faris starter of FeedLeaders.com. Before discovering his site, I thought I was losing my passion or was just totally stressed out. Turns out, my passion was simply being overpowered by burnout. I didn’t know the difference between stress and burnout; now I do. Regardless of where you lead; you can benefit like I have from Brett’s content. After reading and commenting on this post here; sign up over at FeedLeaders for encouragement like none you’ve ever received. If you are in ministry, you have to be comfortable meeting new people. Approaching new people is a major win in ministry because if you don’t meet new people how are you going to reach people? If you are like me, approaching people doesn’t come easy. I’m a mix of introvert and extrovert. Part of me is shy and reserved while another part of me is friendly and outgoing. What about you? What I have found is once I meet someone I have no problem engaging in conversation and getting to know someone. However the initial walk across the room to introduce myself doesn’t come easy. 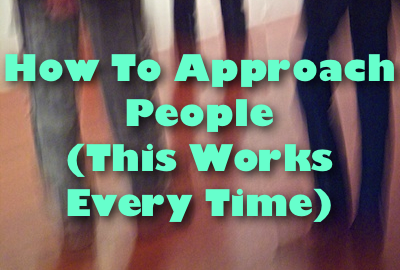 So how do you approach people in a way that works every time giving you the best chance to make the walk across the room and connect with someone new? Never approach someone out of obligation but solely out of opportunity. My greatest lessons in how to approach people I learned during my time at Camp Barnabas. Camp Barnabas is a camp for kids with special needs where I took groups of high school students to serve during summer mission trips. The staff at Camp Barnabas were geniuses at how they gave people a chance to meet for the first time. At Camp Barnabas they pair up one student with one camper then ask the student to spend 23 hours a day for six days to help the camper have the greatest week of their life. Needless to say the first meeting is important! So what does Camp Barnabas do that makes approaching people you haven’t met before an incredible experience? At Camp Barnabas they make meeting people for the first time fun and meaningful. Watch this clip of the volunteers waiting to meet their camper who are introduced one by one. In this clip we go from making noise to using “spirit fingers” because the camper who was being introduced next was deaf and autistic. Next time you walk across the room to meet someone new here are three ideas to help shift your mindset to ensure it becomes a great experience. FIRST: See approaching new people as an OPPORTUNITY instead of an OBLIGATION. At Camp Barnabas meeting your camper was an opportunity for something great to happen in your life. They made meeting the campers such an exciting and memorable experience that we couldn’t wait to meet the campers for the first time. As Church Leaders we have to carry the same mindset. On Sunday when new people walk through your doors never approach them out of obligation. Instead approach them out of opportunity. The moment you walk towards them out of obligation you ruin any chance for good to come from your encounter. THEN: Understand everyone is UNIQUE and not the SAME. Camp Barnabas understood that everyone is unique. They understood some kids were loud and ready to go while other kids needed quiet and time to adjust. All people are unique and not the same. When you approach new people it is important to take this into consideration. Focus on body language. Be attentive to their social cues. Don’t focus on a script but enjoy the moment for what it brings. You will do yourself and the people you meet for the first time a great service if you approach every new encounter as a new experience to enjoy. FINALLY: Find ways to IMPACT them but also allow yourself to be IMPACTED by them. At Camp Barnabas not only did we impact the campers but the campers impacted us. All of us went to Camp Barnabas believing that we were the ones who would be making the impact however in the end we found they were the ones who impacted us. As Church Leaders we have to approach people with the hope to impact them. Encourage people. Pray for them if it is fitting. Introduce them to a key volunteer. Do something to add value to their life however small it may be. However don’t let it be a one-way street because God will use other people to impact you Brett. This is the great exchange of all relationships that God will use you to impact other people while He will use other people to impact you. One of the greatest things we can do as Church Leaders is welcome new people into our churches with effort and love. As you approach new people consider these three simple ideas that will help shift your mindset to make your first encounter fun and meaningful. 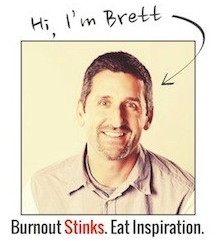 Check Out Brett’s Free eBook! What has worked for you when meeting new people? What are your thoughts on Brett’s guest post today?